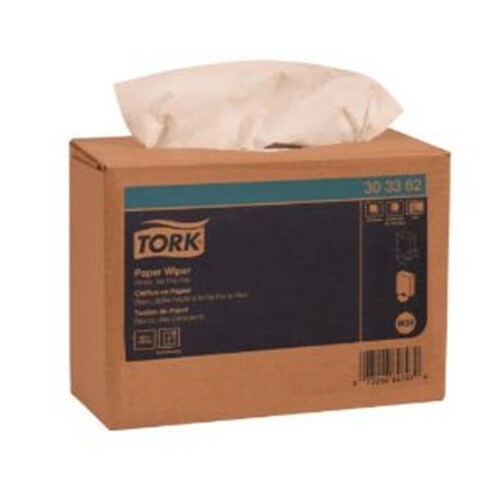 Tork Paper Wiper is perfect for cleaning up light oil, water and dirt. It is the ideal choice for your one-time-use tasks. The nylon reinforced wiper wipes dry and is virtually lint free. This wiper is available in a pop-up box. Strong/durable and absorbent. Wipes dry with low-lint. Made from 100% recycled fibers and 40% minimum Post Consumer content.